A celebration of the life and work of the legendary Mexican artist Frida Kahlo, The Four Fridas is a spectacular, outdoor theatre production and the centerpiece to this year's Greenwich and Docklands International Festival. Performed by a creative team led by the festival's artistic director, Bradley Hemmings (who co-directed the Opening Ceremony to the London 2012 Paralympic Games), the outdoor performance integrates elements of ritual, music, narration, contemporary dance and aerial choreography, played out against stunning video projections in the sky. 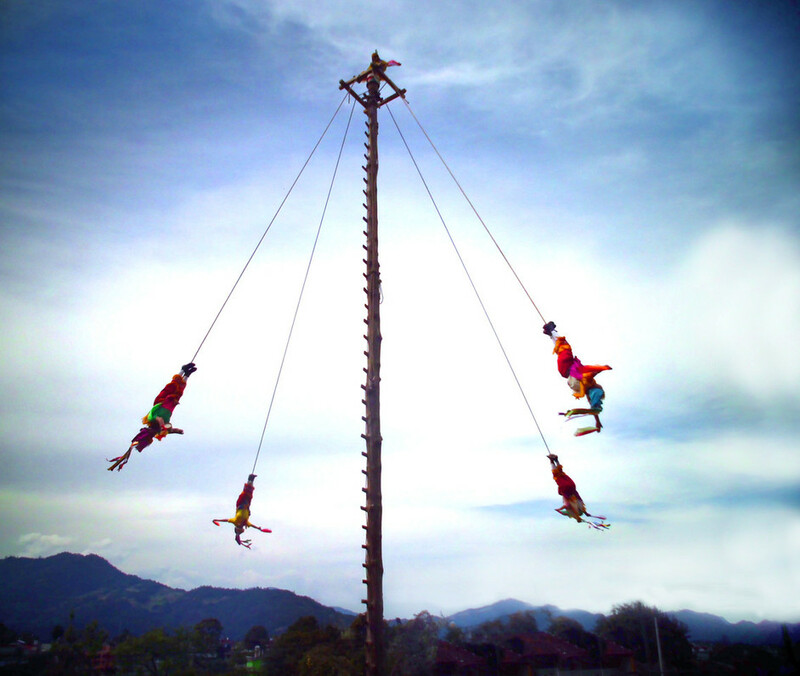 A group of young indigenous women from the remote village of Xochiapulcho in Sierra Puebla will enact the flight of the Voladores giving London audiences a rare opportunity to see the ceremonial ritual. What are the best dining options near The Four Fridas London? The Four Fridas gyms, sporting activities, health & beauty and fitness. The best pubs near London The Four Fridas. The Four Fridas clubs, bars, cabaret nights, casinos and interesting nightlife. Where to have your meeting, conference, exhibition, private dining or training course near The Four Fridas. From cheap budget places to stay to luxury 5 star suites see our discounts for Royal Artillery Barracks hotels, including Crowne Plaza London Docklands from 90% off.